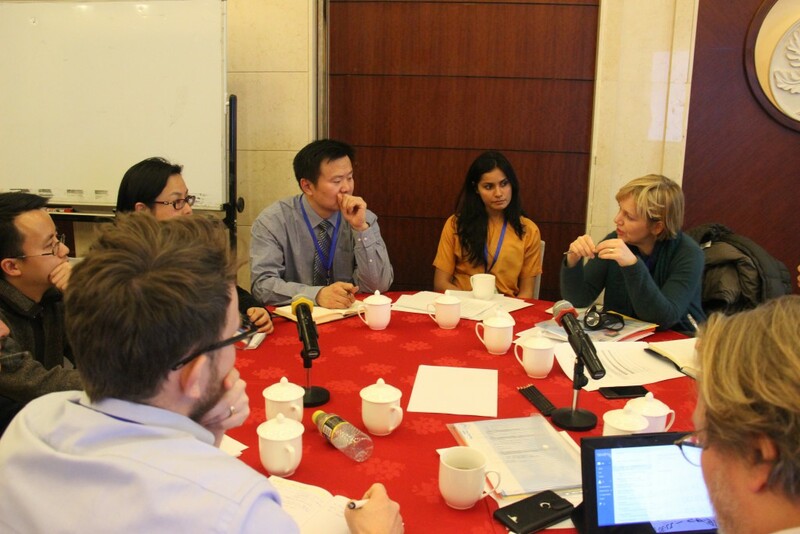 The TEEB Multi-stakeholder International Workshop was held in Beijing on January 21–22, 2015. The workshop brought together representatives from national and regional government agencies, the private sector, NGOs, civil society, international agencies, and the scientific community to discuss the implementation of TEEB in China, and to strengthen a stakeholder network for further information sharing and cooperation. The workshop covered various national and international topics related to TEEB, including lessons learned from global TEEB implementation efforts, valuation methodologies, business and NGO practices on sustainability, and group working sessions to develop policy-based TEEB frameworks. “These two days were a great success” said Kavita Sharma from UNEP TEEB Office. “One, it gave us the opportunity to gain a common understanding of the various TEEB initiatives ongoing in China. Two, it allowed us to make concrete linkages – both in terms of operations and content – between these initiatives. Lastly, and most importantly, we had representation from counties selected as pilot case studies for China´s TEEB National Action Plan. They were able to both voice their policy concerns at a national stage, and connect these to TEEB and broader environmental goals”. In 2013, China adopted “ecological civilization”, a concept first presented at the 17th National Congress of the Communist Party of China in 2007. To achieve eco-civilization, the Government of China plans to improve property rights and use control systems of natural capital, draw ‘red lines’ or ‘no-go’ zones for ecological protection, implement instruments like payment for ecosystem services and ecological compensation, and reform environmental management systems. In this context, the Ministry of Environmental Protection (MEP) and The Chinese Academy of Sciences (CAS) decided to jointly develop the TEEB China project, to value ecosystem services and biodiversity, and mainstream these values into governmental policy decision processes at various scales. Currently, TEEB China National Action Plan (NAP), led by MEP and CAS, has been approved by an expert review. It is planned to be implemented over the course of three years, with six components, and twenty two detailed actions. These components are – Systemizing current TEEB theory and methodologies, developing TEEB China methodology, selecting pilot sites and case studies, raising awareness and training for TEEB, international collaboration and communication, and promoting the mainstreaming of TEEB into policy. Various pilot counties that are part of the NAP were also represented at the workshop. One of them, Jingdong, has already made initial strides towards integrating ecological indicators into the Government Performance Assessment System. The Country representatives stated that they hope TEEB can help in design of policy instruments, such as PES, and eco-compensation for greening industrial chains. The workshop was jointly organized by The United Nations Environment Programme (UNEP), the Ministry of Environmental Protection (MEP) of China, the Chinese Research Academy of Environmental Sciences (CRAES), and the German Federal Agency for Nature Conservation (BfN). The Economics of Ecosystems and Biodiversity (TEEB) is a UNEP-hosted initiative that aims at making nature’s hidden values visible. It can help governments recognize, demonstrate, and capture the manifold values of ecosystem services in policy making. More than 20 countries have started TEEB national studies, China included.